Private investigation firms are important for many aspects of commercial life in China, particularly given the weaknesses in China’s evidence gathering system and the high thresholds that exist for criminal investigations. PI firms conduct every thing from due diligence for investment projects, background checks on business partners and investigations on trademark squatters, counterfeiters and patent infringers. 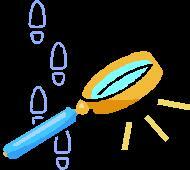 Private investigation firms are a critical component of an IP enforcement campaign in China. Thankfully, according to noted anti-counterfeiting lawyer Joe Simone, the conviction was not for “illegal business operations”, which can carry a harsh sentence. Ironically, illegal business operations is routinely employed in IP cases for illegal publications in lieu of the lesser offense of copyright infringement (Criminal Code Art. 225). Joe notes that there was a 1993 Ministry of Public Security rule on the illegality of private investigation firms. However, as this was an administrative rule it is of limited binding effect. Nonetheless the Humphrey case has led many private investigation firms to question whether their operations are legal. 79. We understand that China currently restricts the operation of foreign private investigation firms in IPR matters. At the same time, police and administrative authorities are frequently limited in their ability to gather evidence in criminal and administrative prosecutions, making private investigative firms even more important. Current thresholds for criminalization of counterfeiting and piracy, if applied to case initiation, create a high barrier for police or administrative agencies to refer cases to criminal prosecution, making the necessity of private gathering of information even more critical. Please advise what rules apply to the operations of such firms, as well as any plans to permit these firms to more actively assist China’s administrative, criminal and civil enforcement authorities (IP/C/W/414, 12 November 2003). Prof. Don Clarke of GW law school has collected the weibo transcripts for those who want to follow this issue further. This entry was posted in China IPR, Enforcement, Evidence, Joe Simone, Peter Humphrey, Private Investigators, WTO. Prof Clarke has done an analysis of the transcript in the Humphrey case, see: http://lawprofessors.typepad.com/china_law_prof_blog/2014/08/the-peter-humphrey-case-my-preliminary-take.html.